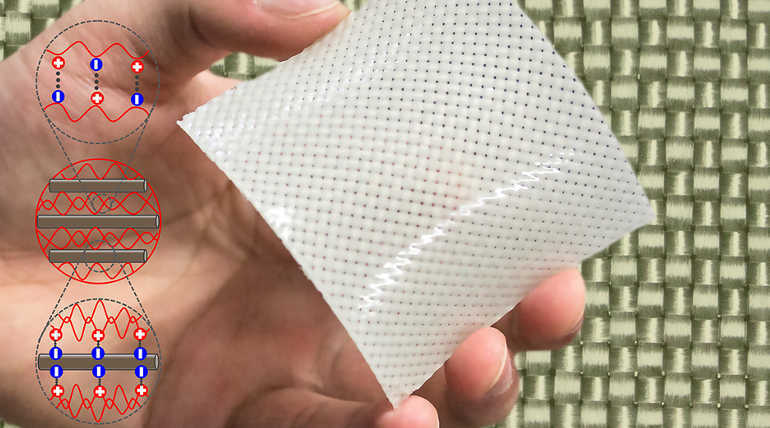 A Japan scientist and her team had spent a complete three years to invent this material that could possibly be applied to make bulletproof vests, artificial ligaments, artificial organs and many. Jian Ping Gong, a distinguished professor at Hokkaido University had invented a soft material that is durable like a metal and extremely flexible. The scientists who discovered this material says that this material is so strong actually five times stronger than the carbon steel but bendable. According to the research team, this material is the first strong flexible material ever made by the human that was influenced by nature. Jian Ping Gong said that she and her team have made this invention possible under the guidance of nature. she said that she got amused to witness small flowers that emerging out from a hard ground while she had a chance of exploring the Hokkaido of Northern Japan. She said that she was wondering how could a small flower possess an ability to crack out a hard ground. She and her team decided to combine a bendable fabric with a hydrogel that found in contact lenses. After they tried this method she said that the team was stunned to witness the outcome result. The material became stronger than they thought that the material was nearly 100 times stronger than a hydrogel and 25 times stronger than a glass fiber. Jian Ping believes that this material could be possibly applied to make artificial body parts and ligaments. This material could pave a way to treat Knee bone depreciation in the future. This may also be applied to make sports clothing and bulletproof vests. Jian Ping believes that this material has a unique ability to stop the bullet as the material itself produces a certain amount of energy. Now the team is engaged in preparing artificial cartilages by improving the technology with the backing support of a private firm. the team hoped to update the material in different ways to apply it in the different way of uses.